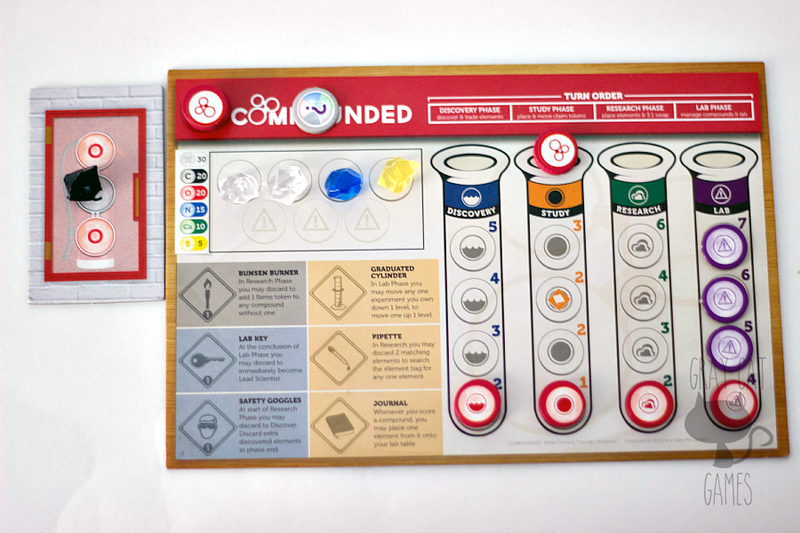 Compounded is a medium-weight euro style game that combines elements of “piece” placement and negotiation. The chemistry theme and beautiful components are enough to set this one apart for us! 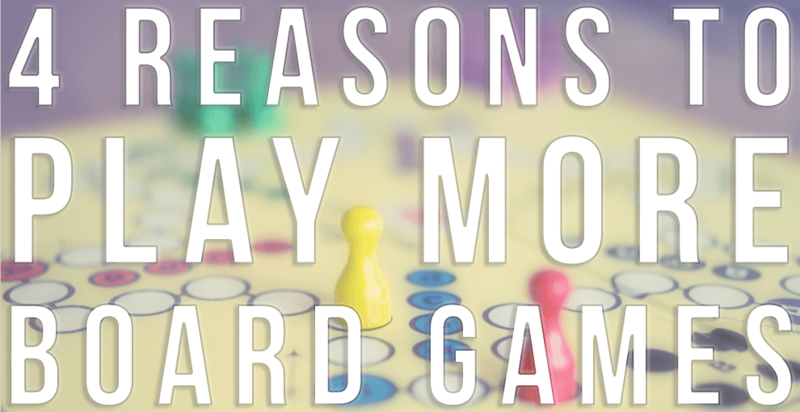 When discussing games with friends and family, we often think that only one aspect is crucial for success: fun. If the game isn’t any fun, then no one wants to play it. An aspect that often gets overlooked, however, is theme. 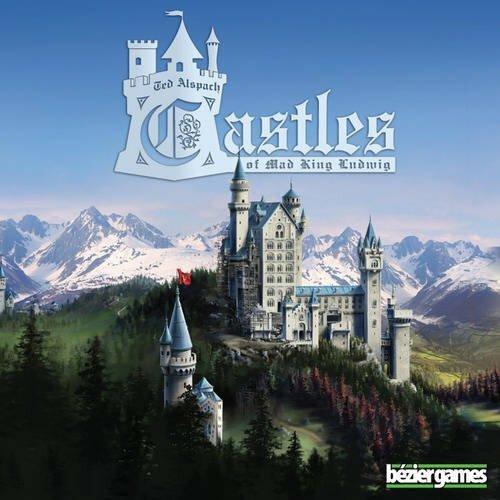 This allows people to really become immersed in the game, and while it’s not essential, theme can sometimes take an “okay” game and make it special. As a college student, I majored in chemistry. When I saw Compounded on the shelf of my local game store, it caught my eye. But I wasn’t really sold on it from the box and the few reviews I saw. 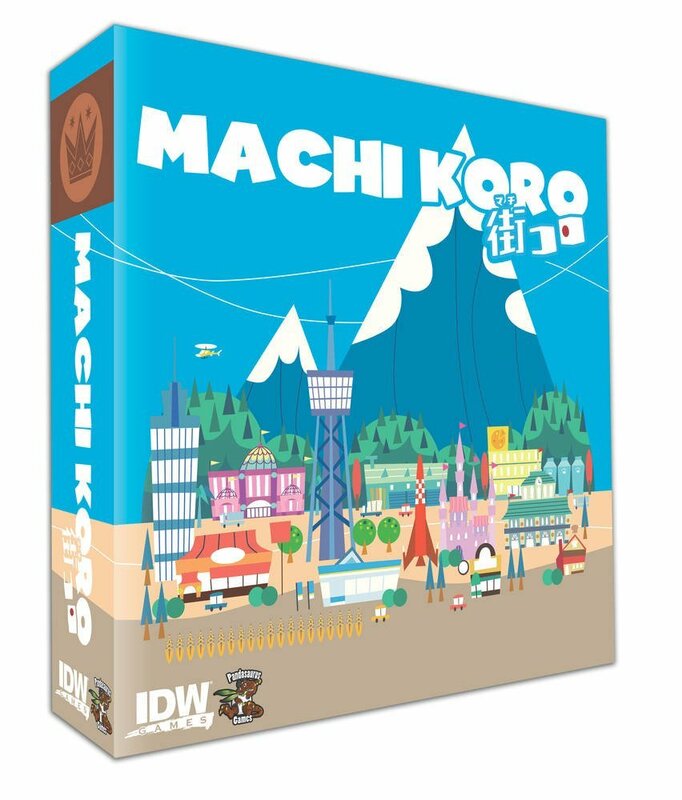 When I showed it to Chelsey at our next board game group, she gave me a funny look and asked me why I hadn’t gotten it yet. So we bought it, and we’ve gotten to try it out several times. 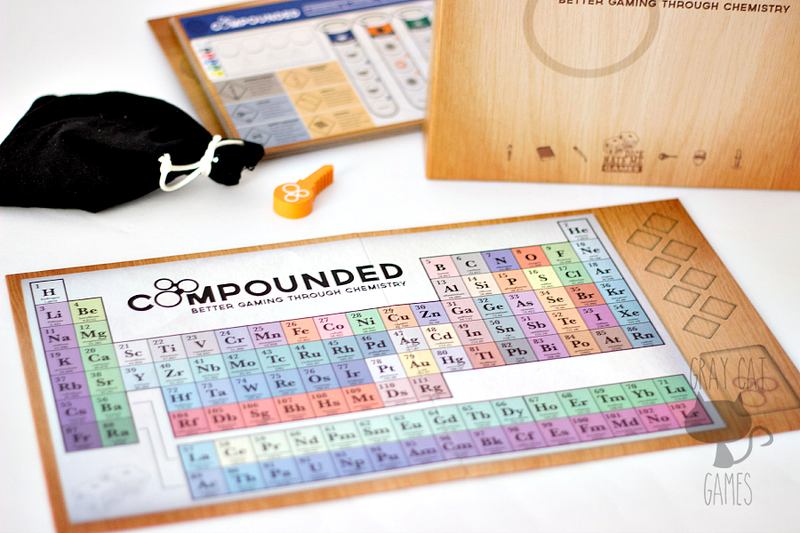 Compounded comes in a box size that is quickly growing on me, one that is pretty common to Dice Hate Me Games. It’s a standard kind of square box, but with the dimensions chopped down some. We can only take a certain number of games with us to our groups, so being able to slip this into a bag or the tote makes a big difference. 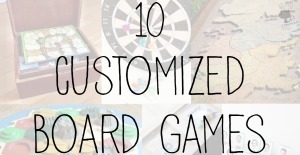 Compounded comes with several player boards and pieces to help keep track of things. It also comes with a board with the periodic table of elements, which is used to keep score. I think it’s a great and unique touch! 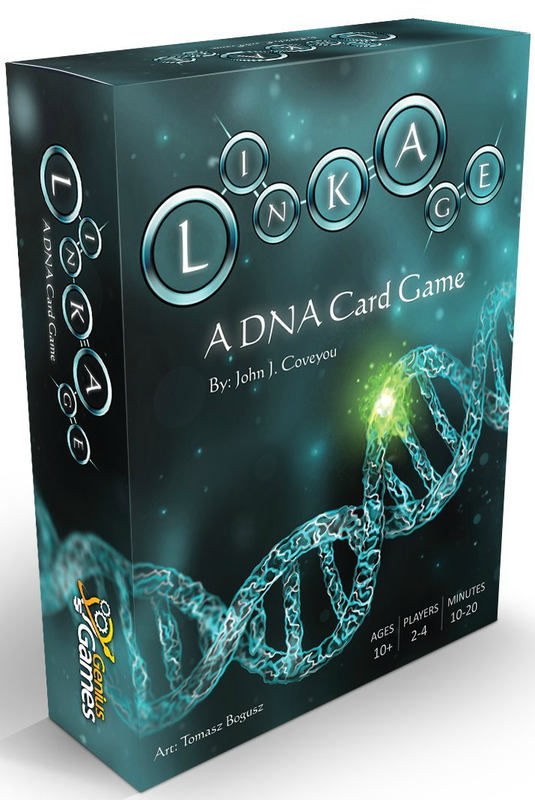 It also includes compound cards that players will be building in the game. 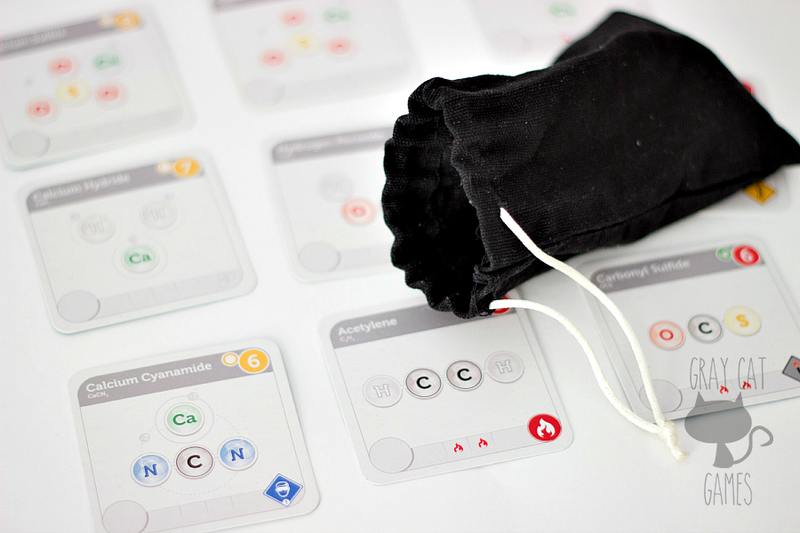 The highlight of Compounded, components-wise, is what is in this baggie. 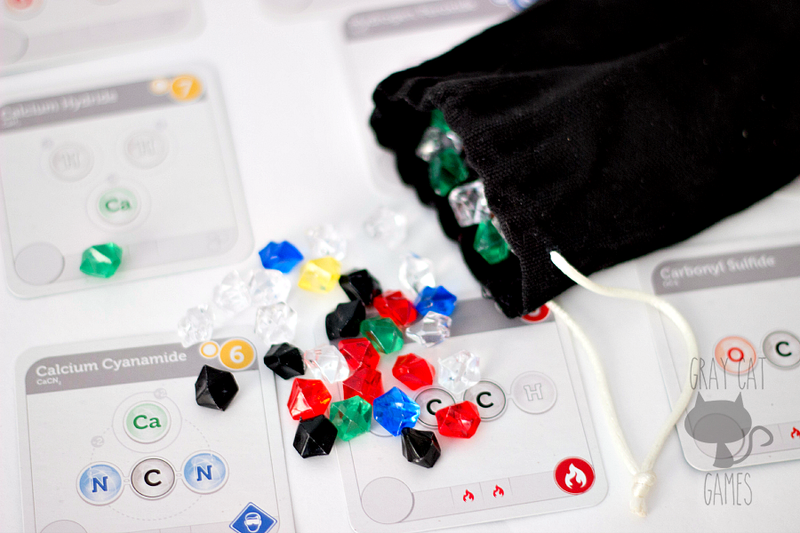 Compounded comes with a bag that stores the element pieces you’ll use to build the compounds. And good golly…this is what tends to impress people. These little pieces look like brightly colored gems that represent the different elements, such as red for oxygen, blue for nitrogen, etc. Side note: this coloring makes the chemistry nerd in me very happy, because these are pretty accurate representations of the colors used for these atoms in computer programs! Compounded comes with enough baggies to separate everything out in a logical way. 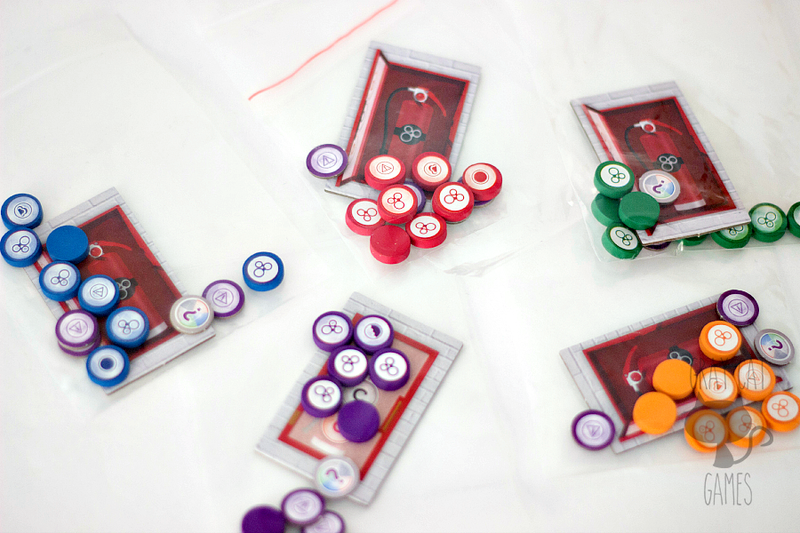 You can sort all the starting components for the players into individual bags and hand them out before beginning. It’s an elegant system, and as usual I love it when game companies provide you with everything you need to store the game! Aside from the baggies, you have to get a little creative to fit everything into the box when you’re done, but it’s far from the most difficult cleanup you’ll experience. Didn’t I gush about the elements enough already? Everything in this game looks fantastic. It’s all colorful and very clear what’s going on. My only complaint is that some pieces feel too small. The little lab tool tokens are a bit small. The fire tokens are REALLY small, as in smaller than a pea. I get worried about losing these sometimes. The size of the components doesn’t bother me much. Sure, I’d like things to be a little easier to handle, but it saves on cost, which is a big plus! In Compounded, players follow 4 phases. First, they get new elements from the bag. Then they can claim compounds. Third, players place elements on compounds. Finally, players score any of them that have been completed. In addition, each compound improves one of your abilities (ie, being able to claim more compounds). It’s simple but can be surprisingly deep. Players have to work around each other to try and get their compounds built and fill up their experiments. The thing that really makes this game shine for me happens in that first phase: negotiation. Players are allowed to trade almost anything in the game, so if you really need that last oxygen, you can make a good offer to another player. Compounded has a very dynamic system of negotiation because of this, making it seem to me almost like a less random version of Cosmic Encounter. There’s not too much manipulating of pieces. You have to put elements back in the bag and remember to move players on the score tracker, but it’s not so bad! Yes! 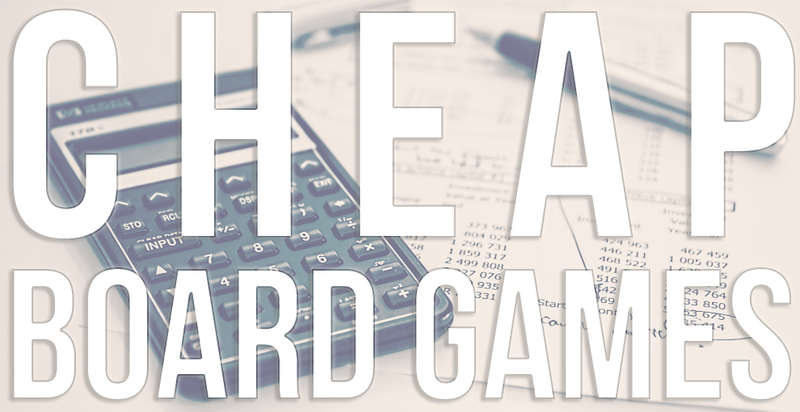 Compounded is a very breezy game full of negotiation and opportunities for sabotage. Players can get cerebral if they want to, but sometimes a lab fire comes along and blows your plans right up! I love the mix of social and tactical that comes along with the game. If you compare it to something like Lords of Waterdeep, the interaction feels so much more organic and interesting to me. Compounded can play anywhere from 2 to 5. 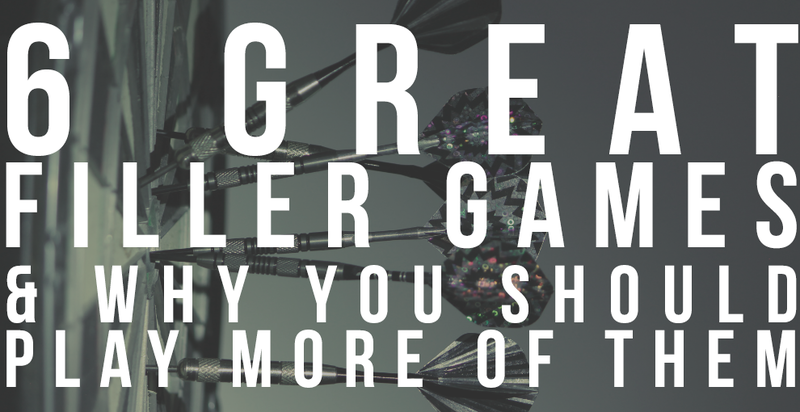 The more the merrier, in my opinion! 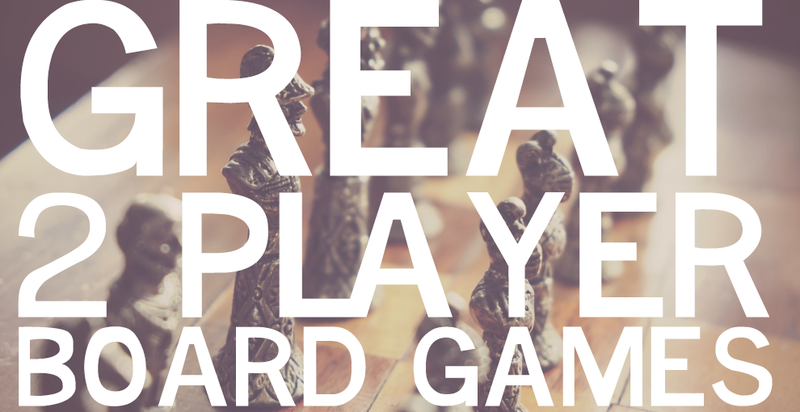 With 2 players, you need to play with a special set of rules that really change the game. It feels slower and clunkier in my opinion; however, this was also when we were trying to get a handle on the basic rules. There’s a lot less negotiation, because there’s less to keep track of. I think Compounded plays better in the 4-5 player range, where there is a lot of room to talk and get favors from people (If you play this oxygen on my water THIS turn, I’ll promise you 2 elements of your choice in the future, for example). I’ve been playing Compounded every week for a little while now, so I’d say yes. It’s easy to bring along. It’s easy to teach. It’s easy to play. Compounded lasts about an hour or so, so this isn’t usually going to be one that gets played a bunch of times in one day. Compounded has an MSRP of $35, but you can get it on Amazon for about $29. 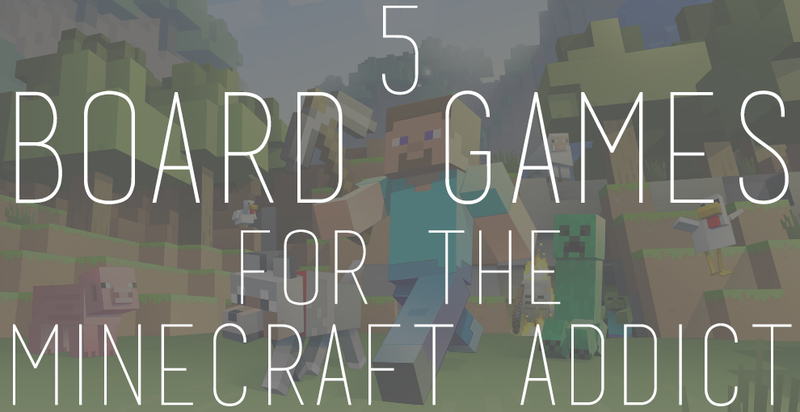 You get a lot of game for this price, and it can appeal to a lot of people! 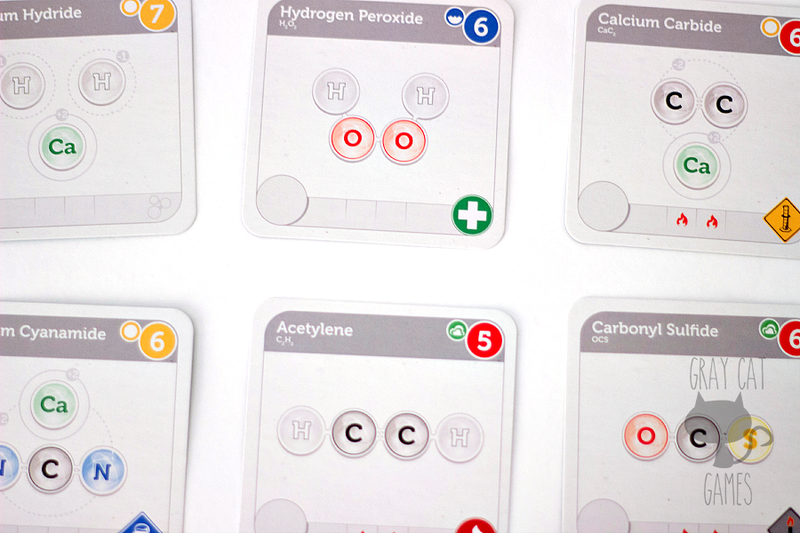 Compounded serves as a great introduction to euro games. 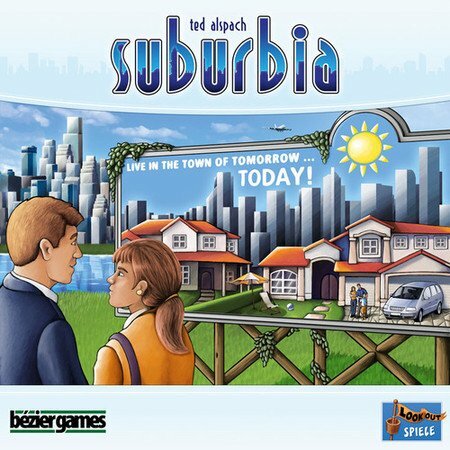 A lot of times, the theme of those types of games borders on the mundane and weird. For example, a fun game like Hansa Teutonica has you managing trade routes in medieval England. It’s weird, and it doesn’t look like anything special at all. Compounded is based on an experience many of us share, though a negative one for many: chemistry! With the recent popularity of shows like Breaking Bad, there is a growing interest in this theme, and it’s definitely unique. Compounded serves as a great springboard for teaching people this style, and it doesn’t take much to sell the idea of playing it. Compounded is simple enough for just about anyone. I would recommend against playing with people who get upset too easily, since there is some element of sabotage (starting lab fires and stuff) that can really mess up other peoples’ plans. 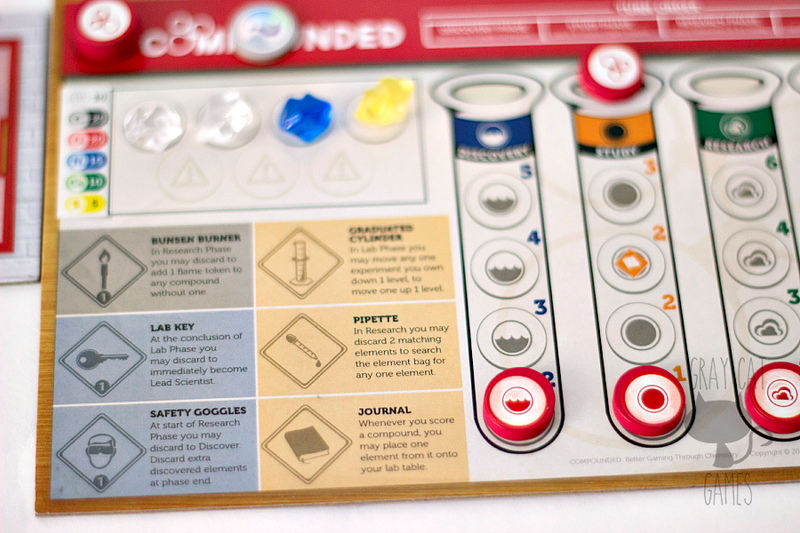 Other than that, Compounded has been a fun game to play with a whole bunch of different types of gamers. If you have any friends or family who liked their chemistry classes, then this one is almost a guaranteed hit. 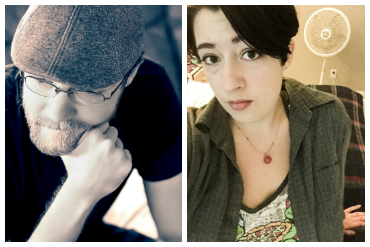 The theme is underrepresented in today’s gaming landscape. 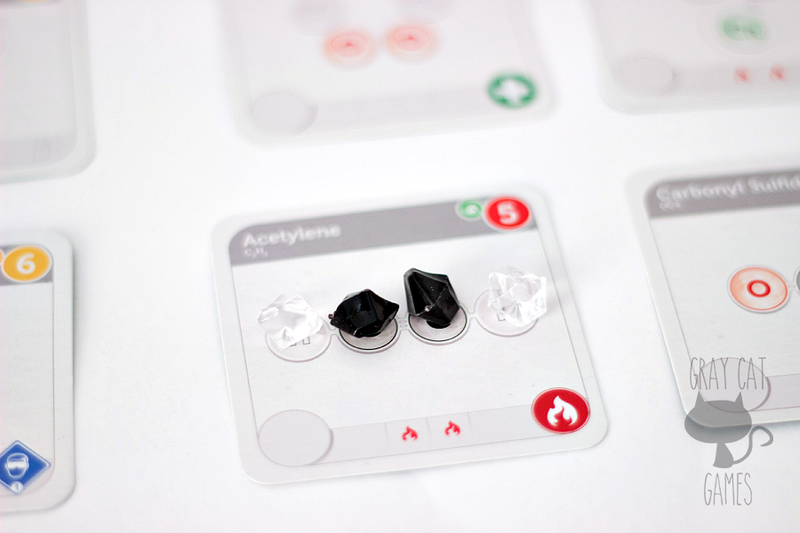 If you like Compounded, you might also enjoy…. This game is quite fun as a family. While the box says ages 13+, my 6 year old readily understood it and played fairly well, and my 4 year old enjoyed playing with a little help. I’d highly recommend this game.